What do the Colosseum, Basilica du Sacré-Cœur and the Getty Centre all have in common? The Colosseum in Rome, Basilica du Sacré-Cœur in Paris and the Getty Centre in Los Angeles are three completely different buildings, in three completely different countries and were even built in three separate time periods. They do have one thing in common though. It’s not the fact that all three buildings are major drawcards to their respective cities, nor is that combined they generate millions of dollars in tourism per year. The answer lies within the finer details of the construction of each building; they were all built using Travertine stone. Travertine is a terrestrial sedimentary rock, formed by the precipitation of carbonate minerals from ground and surface waters, and/or geothermally heated hot-springs. It often has a fibrous appearance and exists in white, tan and cream-colored varieties. Travertine can often be found at the mouth of a hot spring or in a limestone cave. It is used for building in many places around the world, however, the most notable place is throughout Italy. The name Travertine derives from Italian travertino, tivertino, from Latin tiburtinus ‘of Tibur’ (now Tivoli, a district near Rome). Tibur is well known for its Travertine deposits, as the Travertine used in the Colosseum was sourced from here. Even parts of St Peter’s Basilica and St Peter’s Square in the Vatican are built with Travertine from this region. 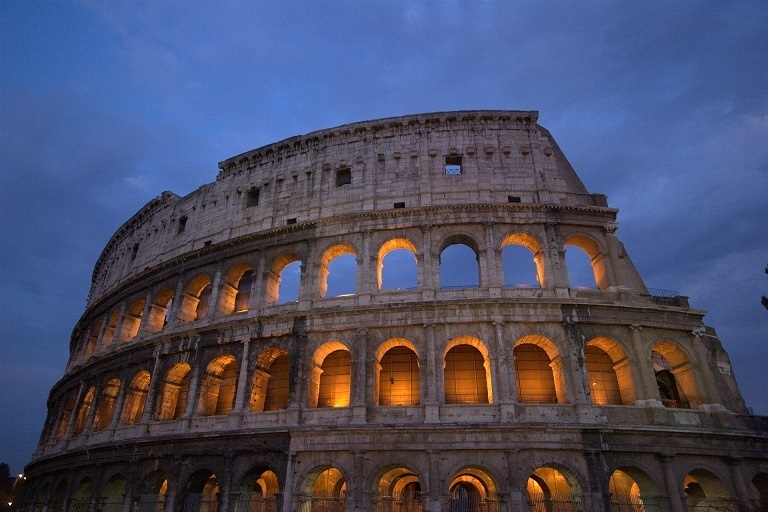 The Colosseum has been standing for around 2,000 years, which is a testament to the incredible strength of Travertine. You may think to yourself “Hang on, hasn’t half of the Colosseum fallen down?” and you would be correct, however, this was due to a massive earthquake around 800 years ago and not due to any natural wear on the stone itself. The Travertine that was lost in this earthquake was reused in other buildings built after the earthquake. The natural strength and beauty of Travertine makes it a great paving stone that can transform your home. Best Bricks & Pavers offers Travertine stone that can be cut to specific dimensions, so you can get the look that these famous tourism attractions boast. Best imports Travertine from an Italian town of Ascoli Piceno and processes it in a leading-edge plant in South Australia to ensure the stone you receive is of the highest quality. Travertine can be used for a range of different applications, including pedestrian areas, pool surrounds, internal flooring and wall cladding. It is highly likely that you can find a use for this beautiful stone in your next project as it is versatile and can compliment a range of other products. For any queries about Travertine, speak to Best Bricks & Pavers who are experts in the paving and natural stone industry. Best can help walk you through your needs and find the perfect way to incorporate natural stone into your next project.